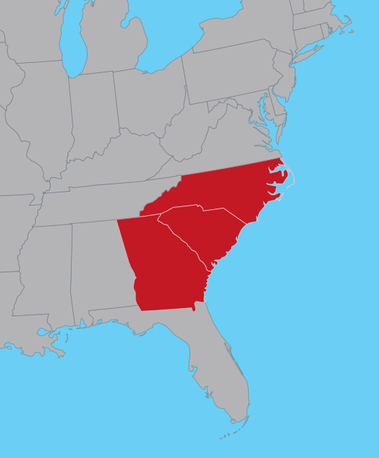 We deliver, setup, and pickup equipment almost anywhere in Southeastern United States. This includes all of South Carolina, North Carolina, and Georgia. We have included a list of cities below for your convenience. Or just give us a call at (803) 600-6226. We are here to talk anytime. Air conditioner and heater rentals delivered to your party, event, or facility in South Carolina, North Carolina, or Georgia. Delivery, installation, and removal of rental air conditioner or heat equipment on your schedule to facilities and events in the Carolinas and Georgia.